Dandelion is a perennial herb with a long tap root, milky sap and a basal rosette of saw-toothed leaves which can reach 25cm long. From spring to autumn Dandelion bears a solitary yellow flower with a hollow stem, followed by fluffy heads of seeds — each with a parasol of white hairs to help wind distribution. Dandelion can grow in any soil and enjoys full sun. It is hardy. Dandelion grows wild in most parts of the world and is generally considered a pesky weed. It is however a very sought after herb. In some countries, like France, where improved forms have been selected, it is grown as a vegetable. The common name, Dandelion, is derived from the Latin words: Dens Leonis — or the French : Dente de lion — meaning lion's teeth. A good look at the saw-toothed leaf of the plant will explain why it was given this name. The whole plant can be used : leaves, roots and flowers. The leaves are juiced or dried for use in infusions or tinctures. The flowers are picked when they are fully open. The roots of 2-year old plants are unearthed in autumn. 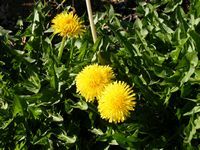 Fresh, young Dandelion leaves, usually blanched (soak the leaves in water for an hour before use), can be added to salads or cooked as a vegetable. The flowers, without their stalks, are edible, and can be added to salads. Dandelion root can be roasted and ground for pleasant a caffeine-free substitute for coffee. 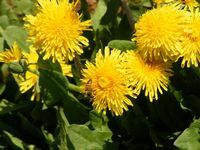 Dandelion has a wide range of health benefits and was mentioned in Chinese and European herbals from as early as AD659. Dandelion leaf contains high levels of potassium salt and is a powerful diuretic. 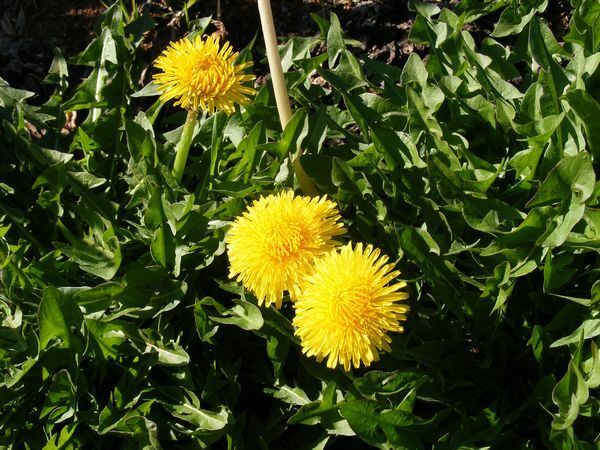 Dandelion is not like conventional diuretics which cause potassium loss through the urine. It is therefore very useful for treating high blood pressure and diabetes. Dandelion root contains the mineral potassium, carotenoids and vitamin A, B, C and D and is one of the best detoxifying herbs. It aids the liver and gallbladder to remove waste products and stimulates the kidneys to remove toxins in the urine. Dandelion is really a well-balanced remedial herb as it encourages steady elimination of toxins due to infection or pollution — therefore it is helpful for constipation, skin problems, (acne, psoriasis and eczema) as well as arthritic conditions, including osteo-arthritis and gout. 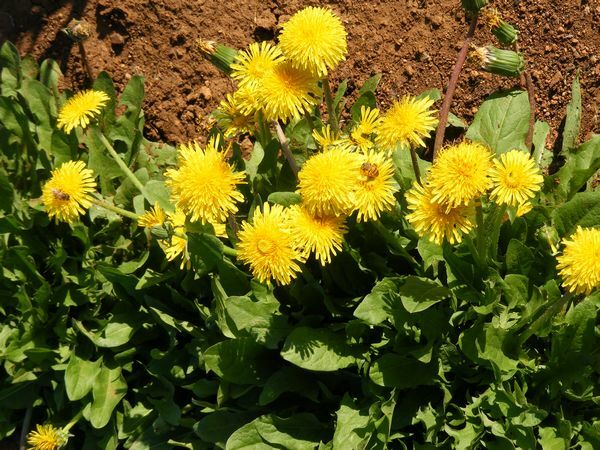 Taking either Dandelion leaf or root will help prevent the formation of gall stones. The leaf can be taken to dissolve already formed gallstones. 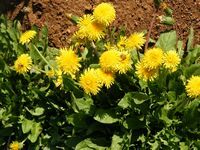 Japanese research in 1999 studied Dandelion’s anti-tumour potential and they came to the conclusion that the use of Dandelion root can be valuable against cancer.